The simplest way to get a live band for your wedding. Your wedding is the biggest day of your life! 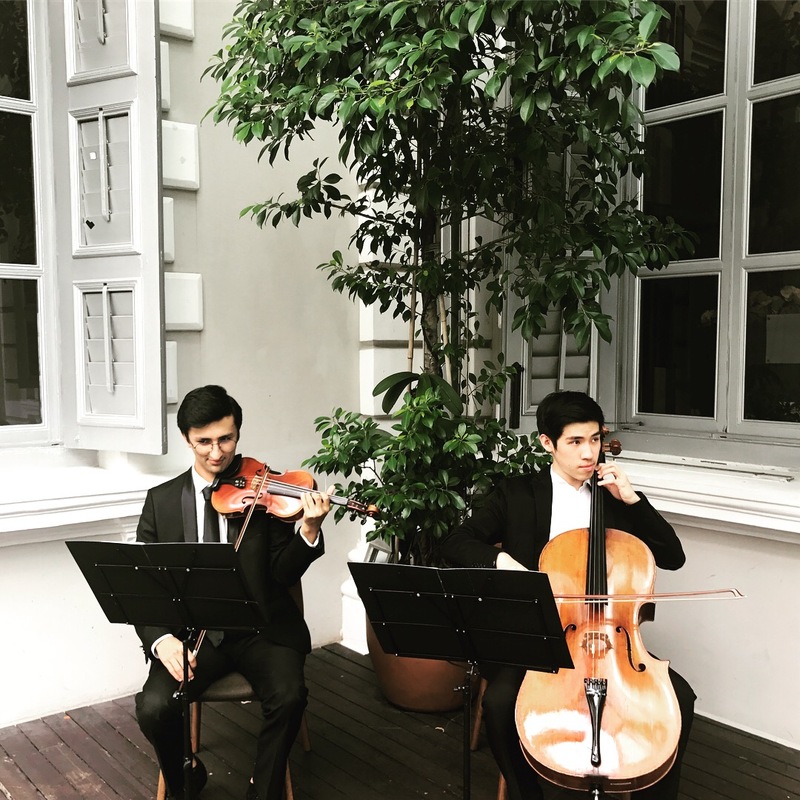 Let our talented performers & musicians add a touch of class to your solemnisation ceremony and elegance for your wedding dinner. Looking for Special Arrangement For Your Special One? We believe every couple has their own unique story that they have created. That special moment of how you two met and that special song your other half love. Let the live background music create a romantic atmosphere, pathing down the memory lane when you ask that one important question. Know that special song in your heart? Let us know your song preference and we will arrange and perform at your wedding. Surprise your partner by playing his/her favourite song. What’s a better way of expressing your love? 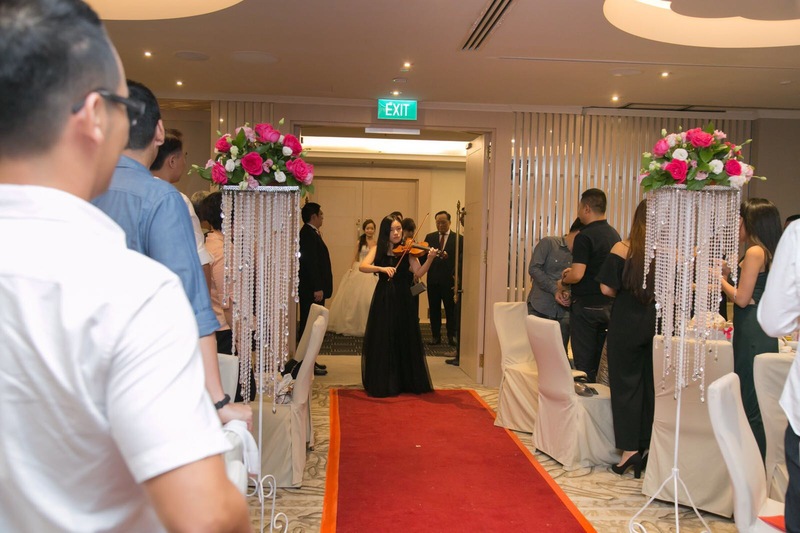 Let the elegant violinist path the way, and let all the audience draw attention to the couples. Our flagship Strings Quartet performances consists of 2 Violinists, 1 Violist and 1 Cellist! You can rest assured that both classical and elegant touch will be added to your event. A combination of Western and Chinese instruments, a great fusion of both culture. 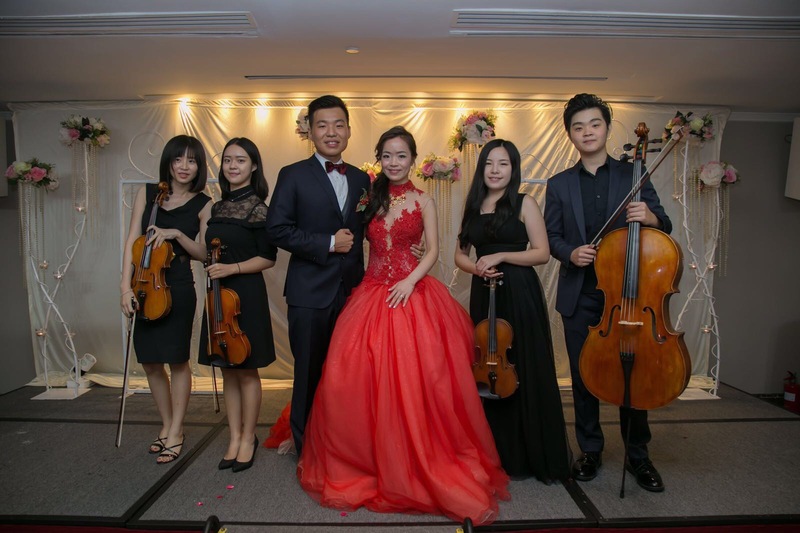 A performance with a mix of Violin and Erhu will definitely provide the audience with a refreshing and stunning experience. Have you listen to the piano guys? Bring the whole setting of a pianist and a cellist/violinist to your event! A live band creates a lively, fun, classy and elegant atmosphere for your big day. When you make a booking with Music Mood, our experienced coordinators will help you choose the ideal combination of musicians who can deliver your desired repertoire of music based on your preferences. What sets us apart from other companies is that we only hire passionate, professional musicians, so you can be assured of getting the very best. At Music Mood, we take pride in brightening up your event with quality live music entertainment. Looking for something classy, elegant, formal, quirky or fun? Music Mood Live Music promises to deliver the best experience for all the wedding couples. We know planning a wedding is not an easy task, so let us share your responsibility and celebrate it together! We have a list of songs and performing pieces ready to fit into your event program. We treat our clients’ event like our own and that is why we have a whole list of exclusive concepts that would bring interest to our clients. Affordability has always been our focus. A sound business structure and careful resource allocation have allowed us to keep prices at an affordable level without compromising on quality. We walk our talk. We are at every engagement to ensure everything runs at 100% of musicality, creativity and operational success. So you can rely on us and focus on other aspect of the event. We have provided live music for thousands at events of all kinds. Let us celebrate your special moments and make it a memorable one. Send us a request and tell us what kind of live music performances you need. We’ll find the right performers for your event. Focus on other things of the event and let Music Mood handle the live music. A more memorable wedding starts here.